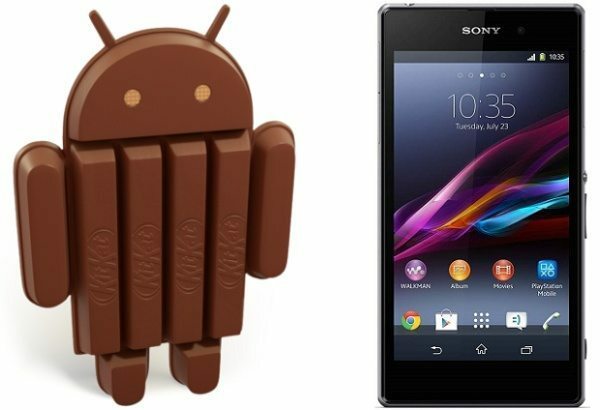 Many owners of Sony Xperia devices are waiting for the Android KitKat update and we have had various teasers over the last few weeks that it’s on the way. Today we have Sony Xperia Z1, Z1 Compact, as well as Z Ultra Android 4.4 update news, as well as something to take into account for the Xperia Z update. Back in January it was reported that the Android 4.4 KitKat update could be on the way to the Xperia Z1 within a matter of weeks, following news that Sony was testing it for the Z1 as well as the Xperia Z Ultra. All then went rather quiet but now there is a glimmer of hope from French operator SFR. The operator has just issued a software schedule indicating a timeframe for the update for the Xperia Z1, Z1 Compact and also the Xperia Z Ultra. It says that the Android 4.4.2 KitKat is expected to rollout to those devices in April 2014. While it’s good to get some sort of time estimation, there may be some readers who feel disappointed that it will still be a while longer until the update might arrive. We should point out that Sony hasn’t confirmed this, and of course the update might not arrive for all regions and carriers at the same time. However, it’s probably more realistic than some of the recent rumors surrounding this update for Xperia devices. Earlier this month there was news from a Polish carrier that the Xperia Z Android 4.4 update would arrive from the end of February. Following this we heard that that Vodafone Australia had the 4.4.2 update listed for testing for the Xperia Z, but there’s still no sign. It’s far more likely that the Xperia Z1 will receive the update before the earlier Xperia Z though, so owners of the Z might want to take that into account and it could be some time yet before they also see KitKat. SFR merely lists the Xperia Z Android 4.3 update as being available, with no mention of 4.4 for this phone. Also we should bear in mind that the newly announced Xperia Z2 is to release in March running Android 4.4.2 KitKat out of the box. Therefore from Sony’s point of view it would make sense to get the update to its other devices later than this to make the new phone even more appealing. In summary it looks as though the Android 4.4 update for the Sony Xperia Z1, Z1 Compact and Z Ultra is unlikely to appear before April, and the Xperia Z Android 4.4 update may be some time later still. We’ll be keeping a close eye on developments with this update for Sony Xperia devices and will pass on news as we hear it, but it would be good to hear something official from Sony. Are you waiting for the Android KitKat update to arrive for your Sony Xperia Z, Z1, Z1 Compact or Z Ultra? What are your thoughts on these latest indications for the update to release? Let us know with your comments. I was expected that 4.4 kitkat version will release within March 1st week as earlier’s news but it seems still take more than 2 month. I really disappointed by this news. Z1 which is still a flagship model(Z2 nt yet released) needs to be updated very much soon along with camera fixes. As a owner of the prestigious model Z1, I need a kitkat update for my device as soon as possible.